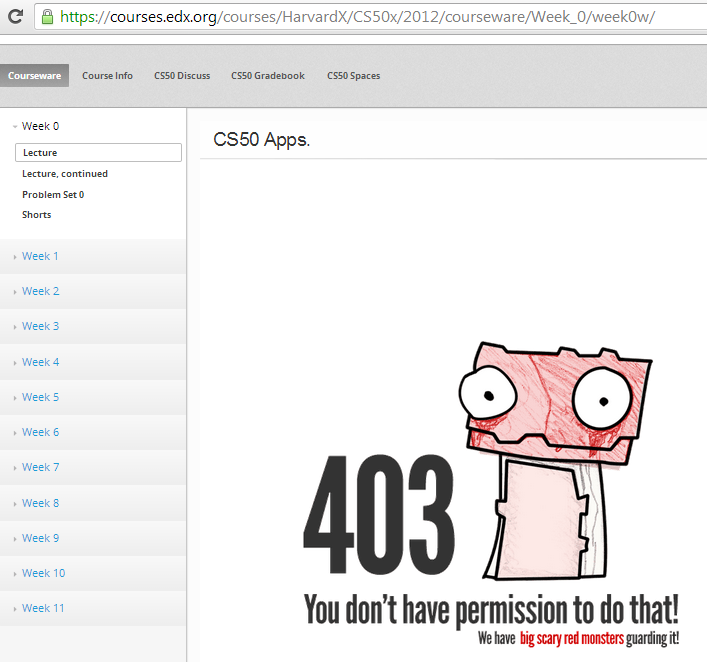 cs50 Apps EDX 403 You don’t have permission to do that! We have big scary monsters guarding it! Why that page on EDX.org ?